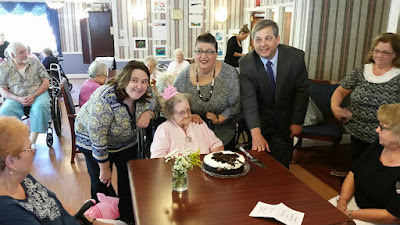 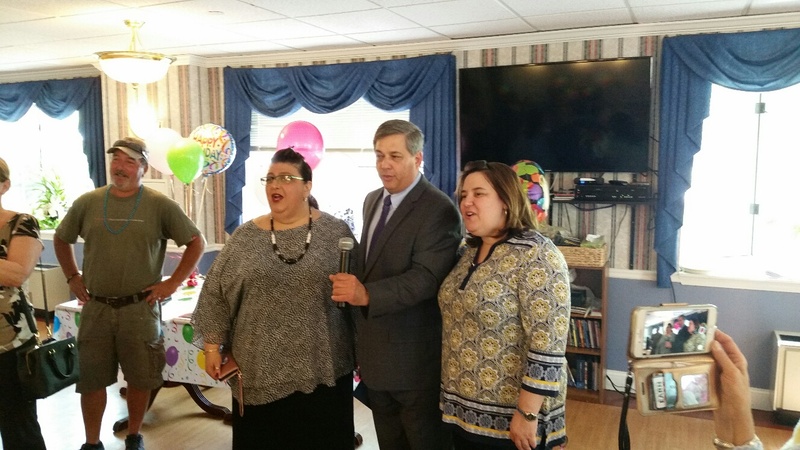 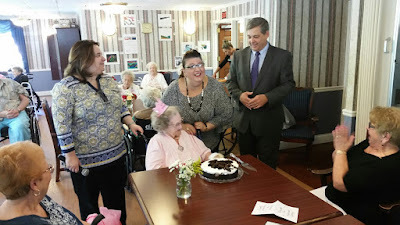 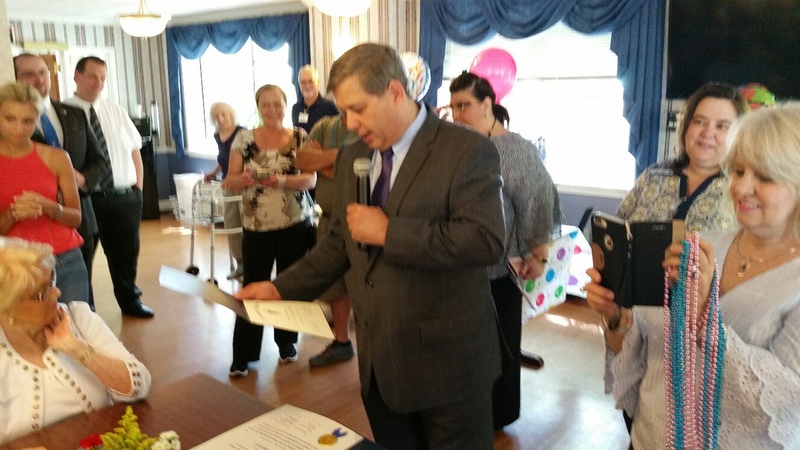 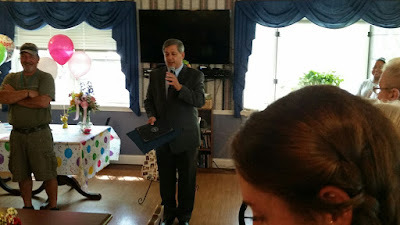 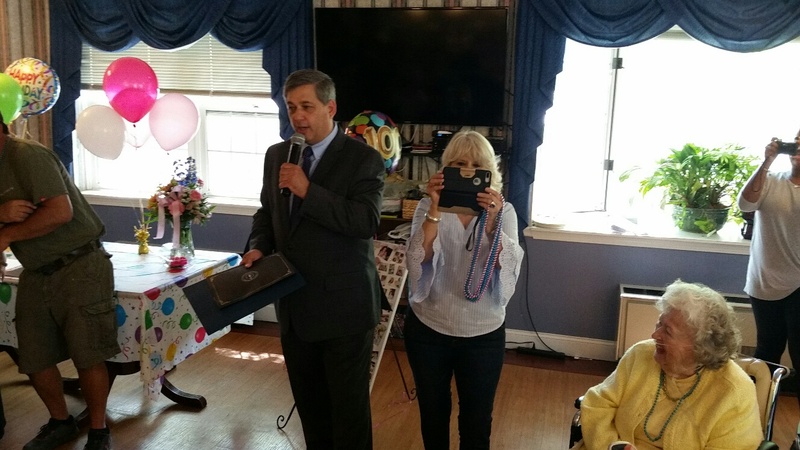 A wonderful way to start the day – wishing a happy birthday to Florence Merchant at the Seacoast Nursing Center in Gloucester. 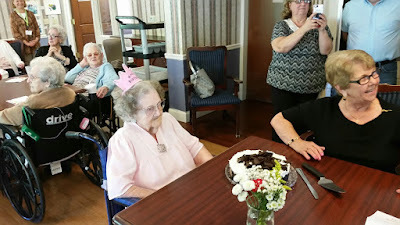 Florence was celebrating turning 100 years old. With Mayor Sefatia Romeo Theken and Representative Ann-Margaret Ferrante.